Has one mistake in a game led to another, then another…? After an error, do you fear making another one on the next play? 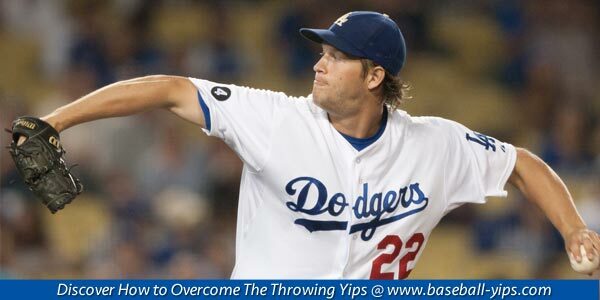 Then you tighten up and over control your throw? This can be the start of a phenomena called the “yips.” Or what I call the yips cycle. You wonder, “What the heck happened?” You ask yourself those “why” and “how” questions in attempt to find your way around the yips but with limited success. 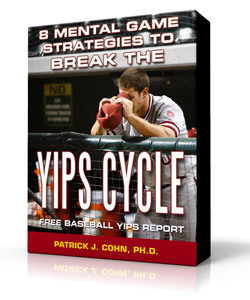 If you were able to understand the origins of the yips, not only could you see yourself through a potential mentally-draining ordeal, but you could put the brakes on before throwing problems turn into the full-blown yips. 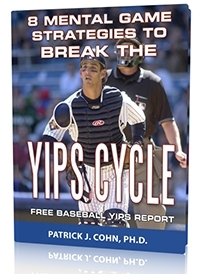 In Major League Baseball, you will see many players who have experienced the yips to some degree. Steven Moya is a potential offensive dynamo for the Detroit Tiger organization but he is trying to work through his recent yips. Moya has been tearing up the minor leagues since 2012 and has received numerous accolades and awards for his offensive production. The Tigers called up Moya in 2016 in hopes of adding an offensive weapon to the roster but, not only has Moya failed to produce offensively (.130 BA in July), he has been a defensive liability. Moya has made 3 errors in just 25 games, prompting Tiger manager Brad Ausmus to send Moya back down to Triple-A. What does Ausmus attribute as the cause of Moya’s defensive woes? Ausmus’ statement sheds light on how the yips appear, seemingly out of nowhere, for some players. Fear causes you to question if you can make the play… It leads to playing it safe and often turns into over control: manipulating the release, for example. You then start to over-think during the throw. The resultant anxiety and muscle tension alters your mechanics and… there you go… the YIPS! But most players will address the mechanics and not the fear. This leads to more havoc with your throwing. To sum up, the yips becomes a self-fulfilling prophecy… When you fear making a mistake, you often end up making the very mistake that you were trying to avoid. Tip #2: Understand that mistakes are part of the game. There are only a handful of MLB starters that have a perfect fielding percentage. One poor throw is an indication of some impeding disease, so get over it and move on. Avoid FIXING your mechanics–as nothing might be wrong with your form. Focus working through the anxiety about poor outcomes and addressing your mind first. 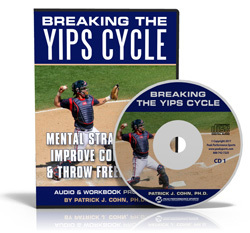 Learn more about the throwing yips with these articles!